Patent ownership Archives - Patent my French! It is always about the money, isn’t it? No, not life. But patent litigation? Maybe so. Today’s lawsuit pits an optician businessman – and inventor – against the major French-based ophthalmic optics group, Essilor. This inventor filed a French patent application concerning a nose pad invention in April 2013. On January 1, 2014, he assigned his invention to Essilor International. I should add that he was independent from Essilor, so we are not talking about an employee’s invention here. The litigation between them later arose because the inventor was dissatisfied with the money he made from the assignment. We thus need to look at the consideration provided in the assignment for the transfer of rights. Based on the excerpts mentioned in the judgment, a lump sum of 400,000 euros was provided. In addition, a variable price was set, over a period of time of 19 years, according to a sophisticated formula taking into account the number of countries in which patent applications would be filed and patents would be granted, as well as the number of devices incorporating the invention which would be sold. As far as I understand, only the lump sum was paid. In 2016, the assignor claimed additional money corresponding to the variable part of the deal. 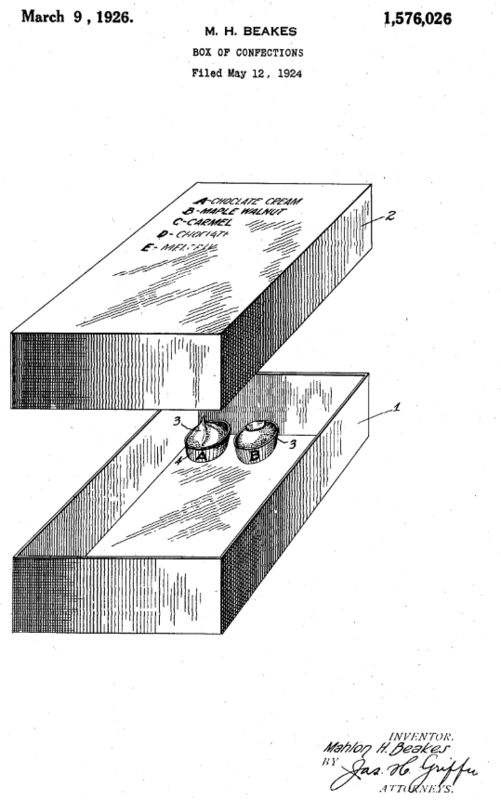 Essilor replied that there were difficulties in working the invention, and that prosecution of the patent applications on the invention was still ongoing. In January 2017, settlement discussions were initiated, in which Essilor offered 85,700 euros as a complementary payment – to no avail. In May 2018, the inventor filed a complaint with the Paris Tribunal de grande instance (TGI), alleged a breach of contract and claimed damages. The inventor provided several estimates for these damages. His first estimate amounted to more than 3 million euros for the period of 2015-2017, and then more than 2.7 million euros per year from 2018 to 2034. His second, auxiliary estimate was 4 million euros in total. The third, less preferred estimate was 600,000 euros in total. Essilor fought back and requested that the action be dismissed. They also provided their own calculation for the minimal amounts to be due, as an auxiliary argument, namely 16,666 euros from year 2 to year 10 and 3,333 euros from year 11 to year 20. This corresponds to the amounts due in consideration of the current state of the patent portfolio, and does not take into account any sale. After the nose pads… muzzle pads. Turning now to the judges’ decision, the first interesting point relates to the issue of whether the negotiations between the parties were loyal or not. The inventor claimed that he was not properly assisted during the negotiations, which were uneven and led him to agree to a clause on the variable part of the consideration which was unfavorable to him. It is thus the content of an oral exchange in a time frame very close to the execution of the agreement which led to the adoption of the proportion of granted and non-refused patents as the adjusting parameter for the “provisional amount” or minimal amount, in the drafting of the agreement. But it cannot be deduced that this criterion was never previously discussed […]. Contrary to the defendant, [the inventor] provides little information on the exchanges prior to the execution of the agreement, which, based on their contents, do not reflect the alleged weakness of the plaintiff but at best his desire to rapidly achieve the execution of the assignment agreement. […] Even if it is surprising that the provision relating to the variable part of the price, which is so important […], was significantly modified without any written proposal before the final version, this circumstance is not sufficient to qualify the discussions leading to the execution of the assignment as dishonest. The correspondence filed as evidence […] actually proves the very active part taken by the claimant in the different steps of the negotiation, the stakes of which he always clearly understood. Next, the inventor blamed Essilor for filing a PCT application based on his first French application. Indeed, using the PCT route instead of direct national filings results in a delay in the grant proceedings. I would add that this is actually one of the main reasons why applicants file via the PCT in the first place. But in this case, any delay in the grant proceedings leads to less money payable to the inventor – in view of the definition of the variable part of the price. The court noted that the agreement does not explicitly mention that the patent filings abroad should be done through the PCT route. Nor does it exclude the PCT route. Therefore, the court had to determine the common will of the parties. The court first noted that, according to another clause of the agreement, the assignor explicitly represented that he had not filed any direct or PCT application. The fact that a distinction between PCT and non-PCT was made in this clause (unrelated to future filings), was interpreted by the judges as a pointer to the fact that a future PCT filing should have been explicitly mentioned, in order for it to be allowed. In view of the importance of the patent grant timeline for the general object of the contract, clause 5.2 must be interpreted, despite its lack of precision in this respect, as not allowing Essilor to file an international application. This choice was thus made in violation of the provisions of the [agreement]. So that’s a first rebuke for the assignee. Then came a second one, relating to the absence of exploitation of the invention. The court first held that, when the assignment price comprises a royalty which depends on the exploitation of the invention by the assignee, this implies a duty for the assignee to exploit the invention; otherwise the clause would be wholly one-sided. This obligation concerns the means implemented by the assignee, and not the outcome. In other words the assignee does not have to succeed in implementing the invention, but they have to try. And the assignee has the burden of showing that they have used all appropriate means for exploiting the invention. In this respect, Essilor referred to two messages evidencing some difficulties in the development of the nose pads of the invention. 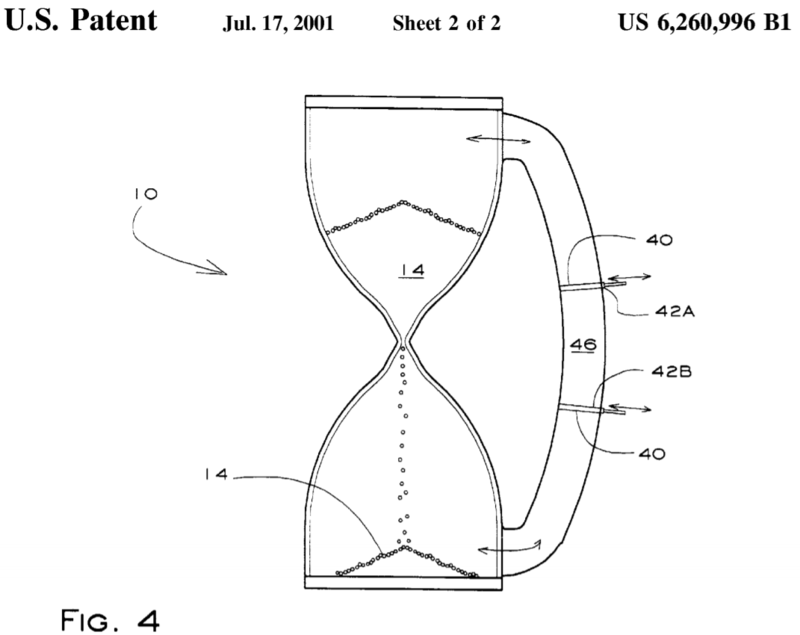 These two sole exhibits relating to a time span of almost two years cannot possibly show that there is a technical impossibility of exploiting the invention. They merely reveal that each version at stake turned out to raise different development issues, and that in 2016 only the “tube” version was deemed as being able to be made and marketed. So, that was held as another fault. Finally, what is generally the stodgiest part of a judgment (this case being no exception): the assessment of damages. The court started by holding that the damages should compensate for the loss of opportunity for the inventor to get royalties. Then, they took note of the objections raised by the various patent offices and the amendments made in response which, they implied, lowered the prospects of exploitation of the invention. 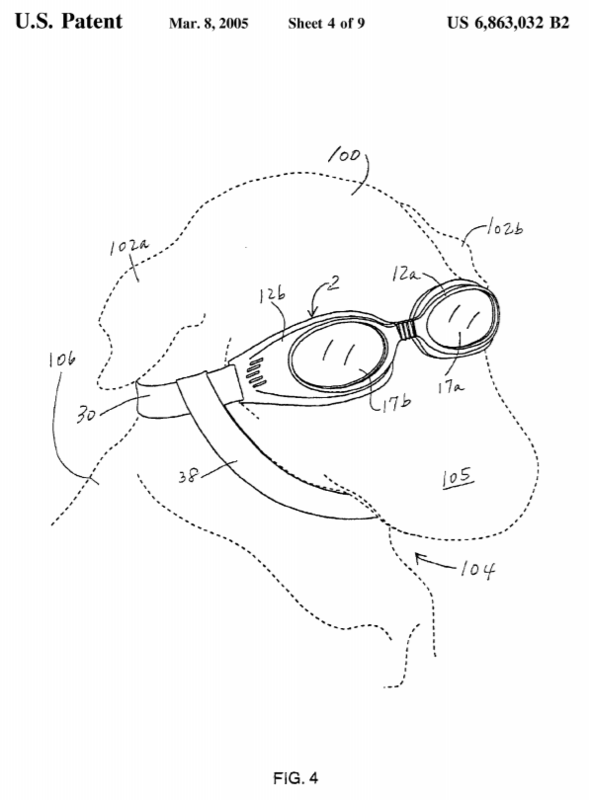 the fact that the inventor subsequently filed another patent application on a nose pad. All in all, the court discarded both the claimant’s and the defendant’s estimates, and came up with a global figure of 300,000 euros of damages compensating for the inventor’s loss of opportunity. There is a very French expression for this approach: “à la louche“, literally “with a ladle“. It means a very rough estimate, close to guesswork. And, à la louche it is in this case, I think. On the other hand, we cannot really blame the court for this. First, the parties came up with hugely discrepant figures, as is not unusual. Second, loss of opportunity is all about what could have been in an alternate universe, which leaves a lot of room for imagination. Third, the court was not assisted by an expert and had only the partial evidence provided by the parties at hand. I can’t help but wondering: the parties will continue to be bound by the agreement for many years to come. So, would a settlement not be still the best option for all of those involved? CASE REFERENCE: Tribunal de grande instance de Paris, 3ème chambre 3ème section, May 25, 2018, Jean-Luc B. v. SA Essilor International, RG No. 17/06753. When international private law meets patent law, things never fail to get interestingly complex. Today’s case pits a German plaintiff, TerraNova Energy GmbH & Co. against a French defendant, Suez International SAS, and the litigation involves a number of patents and patent applications worldwide. The background of the case is the following (according to the summary provided by the judge in the order to be discussed). TerraNova developed a technology for recycling organic waste recovered from sewage sludge. Suez International, originally Degrémont, is now part of the Suez group, a major actor in the water and waste treatment industry. Between April 2011 and October 2012, TerraNova presented its so-called “Ultra” technology to Suez in a demo plant in Germany. A non-disclosure agreement (NDA) was signed in November 2012. Both companies continued to cooperate, which led to the execution of a second, partnership agreement in April 2013. According to this partnership agreement, Suez had an exclusive right to the Ultra technology in France, and had a preemption right on the technology in other countries. In 2013 and 2014, the Ultra technology was implemented in a sewage treatment plant in Compiègne, France and then in another facility in Maribor, Slovenia. In May 2014, the parties began negotiating a license agreement. November 2014 is the point in time when things started going south, as Suez informed TerraNova that they wanted to improve the Ultra technology, and to work on this new process in China. Then, they announced that they no longer intended to get a license, having developed their own improved process. In January 2015, Suez offered to pay royalties for the ongoing Chinese project and for a potential second one, and requested exclusive rights in China. TerraNova refused. In October 2015, Suez opened a renegotiation of the 2013 partnership agreement and mentioned the development of its own, distinct technology. TerraNova then realized that Suez had filed three PCT applications, based on three French priority applications filed respectively in May 2013, July 2013 and November 2014. A number of granted patents and pending applications were later filed from these PCT applications, in Europe, China, the U.S., Canada, Australia and Brazil. TerraNova was of the opinion that the patent applications disclosed confidential information communicated to Suez under the 2012 NDA. They filed a complaint with the Paris Tribunal de grande instance (TGI) in October 2016, claiming damages as well as the transfer of the various patents / applications. 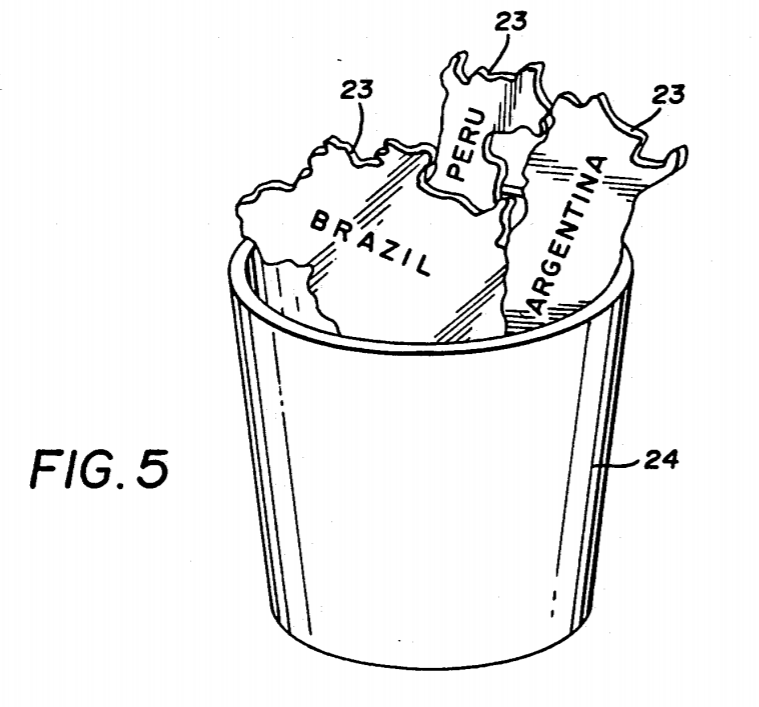 Patent law meets international law. As a legal defense, Suez argued that the Paris TGI lacked jurisdiction over this dispute. As an auxiliary argument, they said that the court lacked jurisdiction at least regarding the requested transfer of patent rights deriving from Suez’ PCT applications. This legal defense was debated in front of the case management judge, which gave rise to the order discussed today. The merits of the case are not addressed in this order. Let’s first deal with Suez’ general argument of lack of jurisdiction. The difficulty here is that the parties were bound by two successive agreements: the 2012 NDA and the 2013 partnership agreement. Now, the NDA contained a jurisdiction clause, per which any dispute in connection with the agreement should be tried by the Paris courts. But the partnership agreement contained an arbitration clause, per which any dispute in connection with the agreement should be brought to the Swiss Chambers’ Arbitration Institution. Suez claimed that, according to the competence-competence principle, only the arbitral tribunal had jurisdiction to decide on which forum had jurisdiction. The court referred to article 1448 of the Code de procédure civile. According to this provision, if a lawsuit subjected to an arbitration agreement is filed in front of a national court, the court must decline jurisdiction unless (1) the case has not yet been brought to an arbitral tribunal, and (2) the arbitration agreement is manifestly null or inapplicable. These conditions (1) and (2) are cumulative. In this case, condition (1) was fulfilled, as the case had not been brought to an arbitral tribunal. As to to condition (2), the court came to the conclusion that it was also fulfilled. The arbitration clause of the partnership agreement was manifestly inapplicable to the dispute, said the court. If there was the slightest doubt as to whether the arbitration clause was applicable, my understanding is that the judge had no other choice but to decline jurisdiction. Yet, in this situation, there was apparently no doubt at all. It was clear that the parties to the NDA intended to subject this agreement to the jurisdiction of the Paris court. The later partnership agreement did not state (be it implicitly or explicitly) that this jurisdiction clause in the NDA was no longer applicable. The NDA contained a mention that the agreement would expire 3 years after the execution date, except some provisions which would still apply for 5 years after the end of the agreement. The jurisdiction clause was not cited among the surviving provisions. But the judge held that a jurisdiction clause was autonomous with respect to the rest of the agreement and necessarily continued to apply to disputes arising from the agreement. Finally, the complaint did relate to an alleged breach of the non-disclosure provisions of the NDA, and not to an alleged breach of the partnership agreement. Therefore, the overarching competence-competence principle in this particular instance did not apply, and the judge refused to decline jurisdiction. This leads us to the second (auxiliary) part of Suez’ legal defense, i.e. that the judge should decline jurisdiction at least over the requested transfer of patent rights stemming from Suez’ PCT applications. Indeed, the applications were filed after the execution of the partnership agreement, so that only this later agreement was applicable to TerraNova’s claim for ownership. It is not perfectly clear to me when reading the order whether Suez also argued that the TGI had no jurisdiction over disputes regarding the ownership of foreign patent rights (as opposed to French patent rights) as a matter of principle. Anyway, in the past, French courts did not hesitate to rule on ownership claims regarding foreign patent rights, and the trend was not reversed in this case. It is interesting to note, though, that TerraNova did not request that the foreign patent rights should be transferred to them by the court, but rather that the court should order Suez to perform the transfer of these patent rights to their benefit. The formulation of this claim probably makes it easier to avoid any potential argument that the French courts would encroach upon the prerogatives of foreign states. As to the merits of Suez’ argument, the judge held that TerraNova’s transfer claim was analyzed as a remedy pertaining to the alleged breach of the NDA, so that the TGI did have jurisdiction also over this aspect of the case. To summarize, Suez’ legal defense was rejected, and the proceedings will continue on the merits. CASE REFERENCE: Tribunal de grande instance de Paris, 3ème chambre 1ère section, ordonnance du juge de la mise en état, April 5, 2018, TerraNova Energy GmbH & Co v. Suez International SAS, RG No.16/16334. Posted on June 11, 2018 June 10, 2018 Categories Claim for ownership, French case law, JurisdictionLeave a comment on Competence? Competence! Another week, another issue of international jurisdiction. Last week’s post was about a case of declaration of non-infringement. This week’s post is about a case of ownership claim. But I think this time the decision issued by a French judge has a greater potential for arousing controversy. In short: the judge decided that the Protocol on Recognition should be discarded in the determination of jurisdiction in the case at hand. The “Protocol on Recognition” is short for “Protocol on Jurisdiction and the Recognition of Decisions in respect of the Right to the Grant of a European Patent“. The object of the Protocol is to define which courts of the EPC contracting states shall have jurisdiction to decide claims, against the applicant, to the right to the grant of a European patent. Pursuant to Article 164(1) EPC, the Protocol is considered as an “integral part” of the EPC, and therefore is part of an international agreement. So, I think the decision by the judge not to apply the Protocol is a pretty big deal. Let’s turn to the specifics of the case. This is a dispute between a British company, NCAM Technologies Ltd. and a French company, Solidanim, both active in the field of motion picture technology. Both hold IP on similar technologies, respectively called NCAM Live and SolidTrack. Solidanim filed a French patent application in December 2011, followed by a European patent application in December 2012, claiming the priority of the French application. The French patent was granted, and the European application is still pending. NCAM Technologies Ltd. filed a British patent application in May 2012, followed by another British patent application and a PCT application in May 2013, claiming the priority of the initial 2012 filing. The PCT application entered regional phase at the EPO. Filing date 1918 – the early days of cartoon technology. Apparently, Solidanim told clients that NCAM had stolen its SolidTrack technology. NCAM did not like that and sued Solidanim in front of the Paris Tribunal de grande instance (TGI) in October 2015. NCAM requested that Solidanim’s French patent be held invalid, and that Solidanim be declared guilty of unfair competition due to disparagement. In March 2016, Solidanim counterclaimed for infringement of its French patent and of its European patent application and for unfair competition. Even more importantly for the present post, Solidanim claimed ownership of NCAM’s British patent, PCT application and resulting European application. that the court should acknowledge its lack of jurisdiction with respect to Solidanim’s ownership claim. This leads us to the order issued by the case management judge in November 2016. The first request was quite easily granted. Indeed, infringement proceedings based on a pending European patent application are stayed as of right (article L. 615-4 Code de la propriété intellectuelle). Furthermore, infringement proceedings based on a French patent are also stayed as of right if there is a parallel European patent application which is still pending (article L. 614-15 Code de la propriété intellectuelle). This is because the French patent is bound to totally or partially disappear after the grant of the European patent (more specifically, at the end of the opposition time limit or at the end of the opposition proceedings, if any). Turning to the second request, there was no mandatory rule for the judge to follow. He had discretion whether to proceed further or to stay. 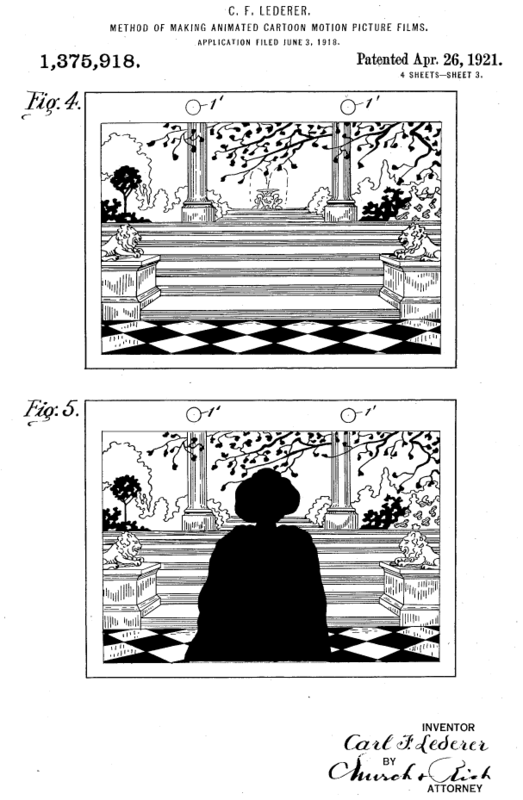 He decided to stay, “for a good administration of justice“, according to the ritual phrase, due to the parallel European patent application still being examined at the EPO, and since the fate of the French patent is closely tied to that of the European application. Articles 4 and 5 are irrelevant here, as they relate to employees’ inventions and cases in which there is a preexisting agreement with a jurisdiction clause in place between the parties. So, this is quite straightforward. According to article 2 of the Protocol, the British courts should have exclusive jurisdiction to rule on Solidanim’s claim for ownership of NCAM’s European application, since NCAM has its principal place of business in the UK. A person domiciled in a Member State may also be sued: […] (3) on a counter-claim arising from the same contract or facts on which the original claim was based, in the court in which the original claim is pending. Claims were already pending in the Paris TGI due to NCAM’s original complaint. Solidanim’s case was that their ownership counterclaim arose from the same facts on which the original nullity and unfair competition claims were based. As a result, the French court also had jurisdiction under the Brussels I regulation. First, as a matter of fact, did Solidanim’s ownership counterclaim indeed arise from the same facts on which the original claims were based? Second, as a matter of law, which provisions should prevail: those of the Protocol on Recognition or those of the Brussels I regulation? […] The latter claims are closely related to the circumstances of fact and relations between the parties, which need to be assessed so as to determine whether the filings made by NCAM did or did not violate Solidanim’s rights on the FR’057 patent, the validity of which is challenged in front of the Parisian court. I am not sure I fully understand why a nullity claim concerning one patent is necessarily closely related to an ownership claim concerning other, later applications by another party – apart from the general background of the case. On the other hand, it seems quite clear that NCAM’s unfair competition / disparagement original claim was closely related to Solidanim’s ownership counterclaim. In both cases, the issue, to put it bluntly, was whether or not NCAM had “stolen” Solidanim’s technology. But the legal issue is certainly the most interesting one. Both the Protocol and the regulation contain some general provisions on how they should be articulated with other legal instruments. So the Protocol proclaims itself to be superior to any other agreement. But the regulation is not an agreement. It is a piece of EU law. On the other hand, the regulation contains an entire chapter (articles 67 to 73) on its relationship with other instruments. This chapter contains general guidance and some specific provisions, but no specific provisions regarding the Protocol on Recognition. So the judge turned to a CJEU decision relevant for this issue, namely C-533/08 (TNT Express Nederland BV v. AXA Versicherung AG) of May 4, 2010. This decision deals with the articulation between regulation (EC) No. 44/2001, which was the previous version of the Brussels I regulation, and an international agreement, namely the Convention on the Contract for the International Carriage of Goods by Road, signed in Geneva in 1956.
in a case such as the main proceedings, the rules governing jurisdiction, recognition and enforcement that are laid down by a convention on a particular matter […] apply provided that they are highly predictable, facilitate the sound administration of justice and enable the risk of concurrent proceedings to be minimised and that they ensure, under conditions at least as favourable as those provided for by the regulation, the free movement of judgments in civil and commercial matters and mutual trust in the administration of justice in the European Union (favor executionis). Article 71 of regulation 1215/2012 is similar to article 71 of regulation 44/2001. Therefore, the judge applied the criteria set by the supreme court of the EU, based on the premise that the same criteria should apply whatever the international agreement at stake is. The judge acknowledged that the Protocol on Recognition affords a high degree of predictability. However, turning to the objectives of sound administration of justice and of minimizing the risk of concurrent proceedings, the judge noted that the claims and counterclaims at stake were so closely related that the sound administration of justice and the minimization of the risk of concurrent proceedings were better served if all claims and counterclaims were handled by the same court. On the one hand, the [NCAM] patents relate to a system similar to the one claimed by Solidanim in its FR’057 patent, in that they deal with real-time merging or composing of computer-generated 3D objects and a video stream from a video camera. And on the other hand, the ownership claims rely on the same factual circumstances relating to the relationships between the parties and their employees, which lead them both to claim a primacy on the inventions provided in these different patents or applications and to consider that the statements made by the parties against each other constitute acts of unfair competition. Consequently, said the judge, the Protocol for Recognition did not pass the test set in C-533/08 in the present circumstances, and it should thus simply be ignored, to the benefit of the Brussels I regulation. Let’s see how this case further develops. It could even be a matter for further reference to the CJEU down the road, could it not? As a side note, in a few years’ time, I assume that the Brussels I regulation will no longer apply to the UK, so that a similar situation will have to be handled completely differently. CASE REFERENCE: Tribunal de grande instance, 3ème chambre 2ème section, ordonnance du juge de la mise en état, November 24, 2016, NCAM Technologies Ltd. v. Solidanim, RG No. 15/15648.